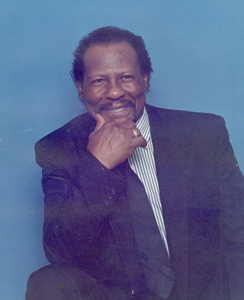 Robert Lee McFarland , 79, of Jeffersonville, Indiana, passed away on Tuesday, April 9, 2019. Robert was a member of Portland Memorial Baptist Church. Robert was born on April 8, 1940 in Owensboro, Kentucky to Rueben and Mollie McFarland. He is preceded in death by his parents, and his sisters, Jean Mason and Roberta Taylor. Robert is survived by his loving of years, Son, James (Devana) Johnson, Son, Robert C (Sandra) Johnson, Son, Rob (Joy) Brimm, Daughter, Renee (Danny) Grose, and a host of grandchildren, nieces and nephews, and cousins. A gathering for family and friends will be from 12:00 pm to 1:00 pm on Tuesday, April 16, 2019 at Newcomer Cremations, Funerals & Receptions - Southwest Louisville Chapel, (10304 Dixie Hwy). A celebration of his life will follow at 12:00 pm, at the funeral home. Add your memories to the guest book of Robert McFarland.